When choosing to invest in technology, it’s important that you are doing it for the right reasons. 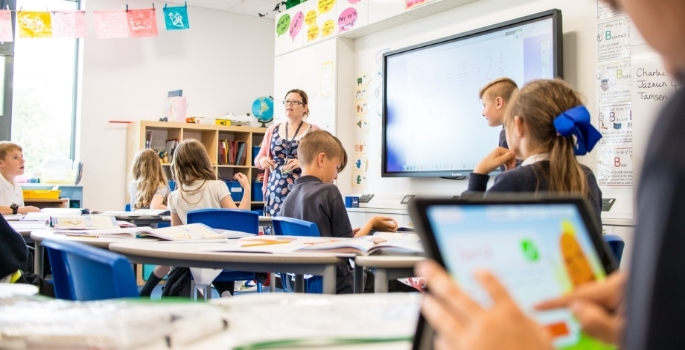 At Promethean, we believe that technology isn’t there to replace the role of the teacher, but to make their lives a little easier and help them to deliver innovative and engaging lessons – proven to improve learning. Think about what teachers and learners will be looking to get out of new technology and explore options that best suit these needs. With so many edtech options on the market, the choice can become overwhelming. This is where you need to do your research, speak with other schools to find out what set-up is working best for them, attend edtech shows, invite companies in to give you demonstrations, and even speak with other teachers on social media. At the forefront of your mind should be whether the technology you would like to invest in will work with your current provisions. For example, our ActivPanel is device agnostic and compatible with Windows, Mac OS, Linux and Chrome OS. To help, do an audit of what you currently have, and keep that in mind when making purchasing decisions. Investing in the right level of training so that teachers are able to get the best out of the technology is vital. Our recent State of Technology in Education report highlighted that only 5% of teachers feel like they’re receiving full training and support for edtech in their schools. We recognise that investing in training is asking schools to spend more money when budgets are already stretched. Therefore, we’ve established our own team of Promethean Advocates, real teachers, using Promethean technology in the classroom, who offer free advice and inspiration. There are also Facebook groups and YouTube videos that provide support and ideas on how to get the most out of your equipment. This is really important. As the primary user of the edtech, teachers need to have a feel for the technology before a buying decision is made. Staff should be given the opportunity to decide whether the functionality and usability meets their needs and those of the students. In turn, by involving teachers in the decision-making process, they are more likely to become advocates of the tech you are investing in. The speed at which we have seen technology evolve over the last five years has been incredible, and we’re truly witnessing an exciting time with new, immersive technologies coming to market. For instance, we’re seeing AR and VR being integrated into lesson plans and we expect this trend to grow and become an integrated function of the learning experience. 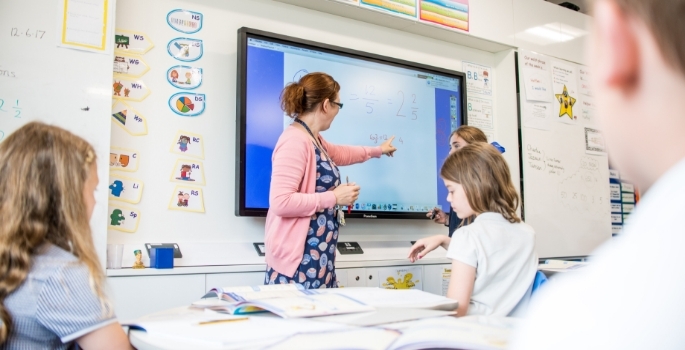 Our ActivPanel features an external Android-based PC, a unique design which enables schools to upgrade the device’s performance over time to keep up pace with rapid advances in computing technology. We understand that it’s important that the purchasing decisions you make today, will still be relevant tomorrow (and many years beyond!). It’s not just about the bright lights and excitement of new technology, it’s about taking the time to evaluate what edtech solutions will make the biggest contribution to your school. With strategic planning and consideration, you can be confident in making sure you’re making the best decision on your edtech investment. Promethean has developed a unified communications guide that can help. By Peter Millar, Pre-Sales Technical Consultant, Promethean.